Providing you the best range of bem 6 machining unit, bem 6 d machining unit, bex 8 machining unit, bex 15 machining unit, bem 12 d machining unit and bem 12 machining unit with effective & timely delivery. We are offering BEM 6 Machining Unit to our client. BEM 6 D Machining Unit machining units are equipped with a direct inline AC-motor, thus can be used in single-purpose applications. Basic spindle unit is identical to BEM 6. The machining spindles type BEX 8 Machining Unit are high-speed drilling spindles designed. The machining spindles type BEX 15 Machining Unit are high-precision turning spindles designed. Max. Speed: 23 000 min-¹, max. BEM 12 D Machining Unit machining units are equipped with a direct inline AC-motor, thus can be used in single-purpose applications. 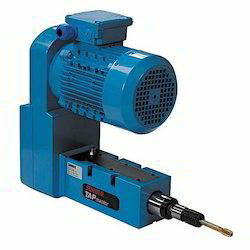 Basic spindle unit is identical to BEM 12. 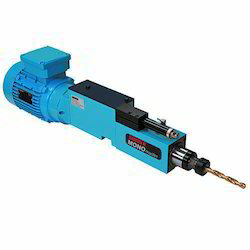 BEM 12 Machining Unit are equipped with a 3-phase electric motor and can be used in single-purpose. 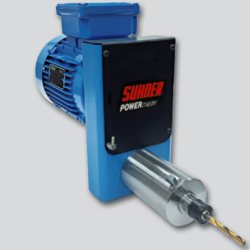 GEM 12 Tapping Unit is a self-contained, programmable tapping unit without a leadscrew, including an electric control box with AC-frequency inverter drive. Looking for Machining Unit ?